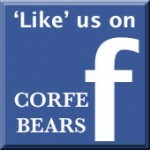 Corfe Bears > Charlie Bears > CHEWY 13ֲ½"
View other bears from Charlie Bears Bearhouse Bears In Stock Now. Charlie Bears Chewy is from the 2018 Bearhouse collection. Llamas are members of the camel family, but they don't have a hump. They only need a small amount of water a day and are vegetarians. They can eat up to 6 pounds of food a day, so are often chewing their food, so CHEWY is a great name for this new Bearhouse Llama!! Chewy has lovely, soft winter white fur and the hooves are light brown. She has long, upright ears and wears a pink organza bow. Buy her and she may give you a nibble......of affection! !